After a period of convalescence, the conductor-pianist returns to lead the ensemble for its 43rd season. 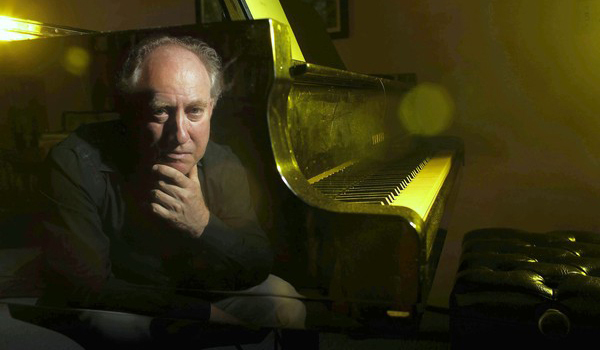 When Jeffrey Kahane decided to undertake a survey of Mozart's mature piano concertos to celebrate the composer's 250th birthday, he didn't expect to play all 23 of the works himself. But when scheduling conflicts made hiring other leading soloists impractical, the pianist and music director of the Los Angeles Chamber Orchestra decided to take on the feat on his own. "I didn't think of it as a huge project about me, so I wasn't daunted," the musician said at his home in Sonoma's wine country. "It was a collaborative venture with the orchestra." In a classical music world peopled with celebrity soloists and megalomaniacal conductors, Kahane stands out as a team player. While most music directors of world-class ensembles rarely spotlight musicians from the ranks, Kahane frequently invites many of the 40 LACO players to perform solo concertos. He has commissioned several instrumentalists to compose works for the orchestra and offered LACO's concertmaster, Margaret Batjer, the opportunity to curate her own "Westside Connections" music series. "Jeffrey understands the depth of talent in the orchestra and gives us an opportunity to shine," said Richard Todd, LACO's principal horn, whom Kahane commissioned to write a piece for the ensemble's 40th-anniversary season. The 43rd season — 30 concerts in venues across the region — begins Sept. 24. Playing the keyboard while leading an orchestra requires special skills. Murray Perahia, Daniel Barenboim and Kahane are among the few musicians who have excelled at this task in recent history. LACO's respect for Kahane is such that when the music director, who turns 55 Monday, was forced to withdraw from performing for six months last season after being diagnosed with mononucleosis and hepatitis, the musicians felt as if they had temporarily lost a limb. "There was nothing to do but rest, and it was incredibly difficult, depressing and painful, but also an immensely important learning experience," Kahane said of his period of convalescence. Thanks in part to LACO's strongly collective nature, however, the group continued to flourish. "Jeffrey's absence gave us a chance to really bond," said Batjer, who sometimes led the orchestra from the first chair during Kahane's time away. The synchronicity was so strong that by the time Kahane returned to the stage in full health last spring, the orchestra hadn't lost its luster. "His absence has seemingly hurt neither the organizational spirit nor ensemble," wrote Times music critic Mark Swed, reviewing a LACO concert in May. Kahane's team spirit stems from his deep engagement with chamber music, a genre that generally promotes a more cooperative environment than symphonic music, where the conductor rules from the podium. But Kahane's sensibility extends further back, to his childhood passion for improvisation. This skill would not only stand him in good stead as a vibrant improviser of Mozart cadenzas in the classical realm but also as a musician working in the collaborative genres of rock and jazz. Born into a Jewish family in Los Angeles (his well-to-do mother escaped Nazi Germany shortly after Kristallnacht, and his father was the seventh child in a family of working-class Russian Jews based in New York), the pianist, who took up the piano at 4, grew up surrounded by music of all kinds. "I was taken as a kid to Royce Hall, which had one of the great recital series in America in the 1960s. There I heard Rubinstein and Du Pré," Kahane said. "We also went to Ash Grove, a club on Melrose that eventually burned down, where I heard legendary bluesmen Sonny Terry and Brownie McGhee and bluegrass greats Doc and Merle Watson." Kahane played the guitar in rock bands during his teen years, only deciding to focus exclusively on a classical music career when he enrolled as a student at the San Francisco Conservatory of Music. Although he soon excelled in the classical realm, placing highly in major international competitions, making his Carnegie Hall debut in 1983, performing as a soloist with the New York Philharmonic and other top-tier orchestras, accompanying Joshua Bell, Dawn Upshaw and Yo-Yo Ma and launching his conducting career at the Oregon Bach Festival in 1988, he continued to feed his peripatetic musical passions. Kahane recently performed with the singer-songwriter Rufus Wainwright at the Ravinia Festival and in 2008 recorded a CD with the Gypsy jazz outfit the Hot Club of San Francisco. His dog's name is Django. "Growing up in a house where there was equal reverence for Paul Simon as there was for Brahms gave me permission to ignore traditional boundaries between genres," said Kahane's son, the singer-songwriter Gabriel Kahane. The pair recently collaborated on a concert program that interspersed Jeffrey's interpretations of four Schubert impromptus with songs written by Gabriel. In April, LACO will premiere Gabriel's 30-minute song cycle. "I always dreamt of being able to go back and forth with ease between musical genres," said Jeffrey Kahane, who, with his receding orb of curly hair, affable grin and diminutive stature looks like he'd be as comfortable wielding a miniature fishing rod by a garden pond as sporting the starched tuxedo of a concert pianist or a rocker's ripped jeans. "I did that, but never as fully as Gabe." Kahane's roving interests extend way beyond music. Tomes by Plato and Proust in their original languages line the bookshelves of the sunny, low-slung home that the musician shares with his wife, Martha, a clinical psychologist, reflecting his wide-ranging intellectual curiosity. Kahane recently completed a master's degree in classics at the University of Colorado, inspired by a desire to understand the relationship between classical literature and music more deeply. "At age 50, Jeff had decided that Beethoven and Mozart were still not quite enough, so he'd determined to read Greek for himself," said the composer John Adams, who has known Kahane for almost 40 years. "That's a measure of the man." "The orchestra was on the verge of filing for bankruptcy. The musicians were demoralized, and the relationships between the players, staff and board were abysmal," said Kahane, who until recently also held down long-standing music directorships with the Santa Rosa and Colorado symphonies. "I wasn't oblivious to the challenges, but I was convinced that by sheer force of will and love of music I could turn things around." Things have indeed turned around since then. According to Rachel Fine, the orchestra's executive director, subscriptions have more than doubled during Kahane's tenure, as have the number of concerts the orchestra presents each season. And LACO's budget has soared, growing from around $1.5 million to $4 million. LACO is one of few established chamber orchestras in the United States, comparable in some ways with the St. Paul (Minn.) Chamber Orchestra and Orchestra of St. Luke's (in New York). But LACO's renaissance has not been easy. Kahane has struggled to broaden the musical palate of the orchestra's largely conservative-minded audience. "At the beginning of Jeffrey's tenure, LACO regularly received negative audience feedback when new works were performed," said Fine, who followed Kahane's career for years before joining LACO last November. Today's concertgoers seem more open. The orchestra's "Sound Investment" commissioning program attracted funding from 55 audience members last year, up from a handful a decade ago. The upcoming season's first program includes works by Osvaldo Golijov and LACO's composer-in-residence Derek Bermel, alongside Kahane's take on Beethoven's Fourth Piano Concerto. In 2012, LACO will present the composer and pianist Timothy Andres' mash-up of Mozart's "Coronation" Concerto, which irreverently re-imagines Mozart's incomplete left-hand part. "I think of the 'musical experience' as the product of multiple collaborations," said Kahane, who in addition to leading LACO will be spending much of the fall in New York, undertaking a residency at the Juilliard School and conducting the New York Philharmonic. "I want our audiences to be active participants in the process of music-making. And I think that an interest in the new goes a long way towards fostering a culture of living music, without which the art form is doomed."